Poornima University (PU) is a private university in Jaipur, India established by an act of the Rajasthan legislature. 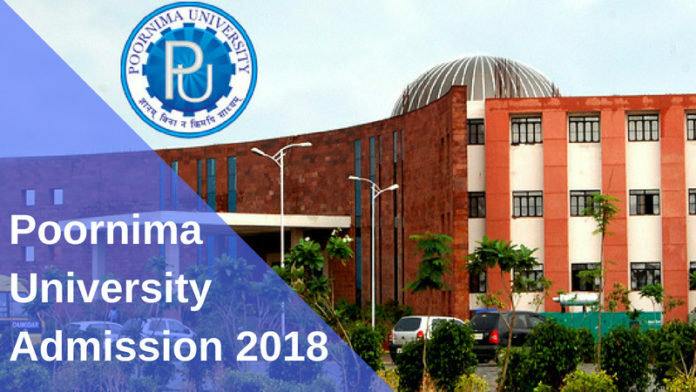 Poornima University Admission 2018 is now going on, it began on April 05, 2018 in all courses. Now, candidates who are interested to take admission in Poornima University can check all the details of Poornima University Admission 2018 like course offered, eligibility criteria, selection procedure, fee structure etc from this page given below. Poornima University was established in 2012 with an enrollment of 800 students. In 2016, PU had more than 2700 students from all over the country enrolled in more than 20 courses. Poornima University offers various Undergraduate, Postgraduate & Ph.D. courses in the various discipline. Poornima University is recognized by University Grants Commission (UGC). Its architecture program is approved by Council of Architecture (COA) and the interior designing program is approved by the Institute of Indian Interior Designers (IIID). 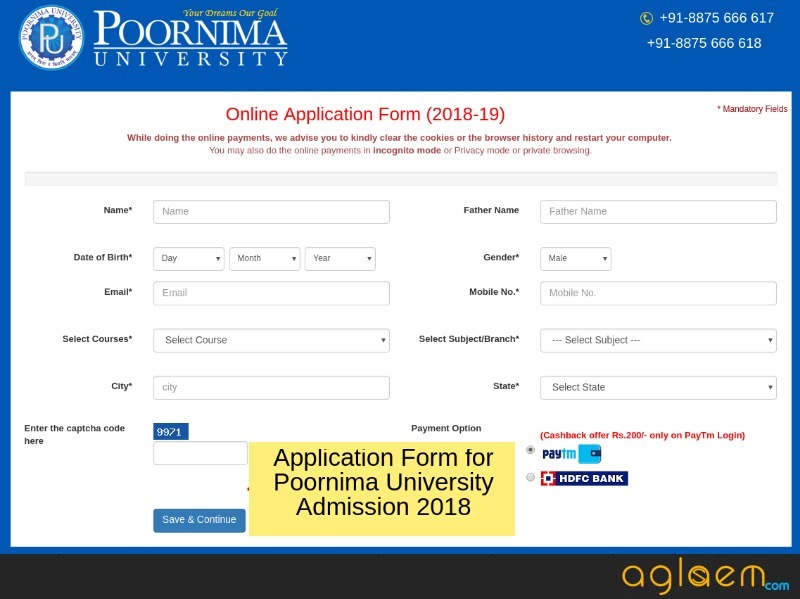 Interested candidates can apply online for Poornima University Admission 2018 from the official website or through the direct link given below. Before going to apply candidates must ensure that they are eligible for the course they are applying for. Apply Online: Click here to apply online for Poornima University Admission 2018. Note that Poornima University also allows payment of application fee via Paytm. Below we have provided the direct links to each and every course that Poornima University provides to the aspiring candidates. Click on the course name you are interested in. Entire details of the course will be available to you. Candidates apply for their desired course. As per the eligibility, candidates are filtered and their application is verified. The University does not conduct any entrance test for admission. All selections for all the courses are on the basis of merit, or national level examination score and also eligibility norms. Aspiring candidates can take admission into one of the following courses. The diversity of options provided to the candidates by Poornima University is humongous as well as innovative in many ways. 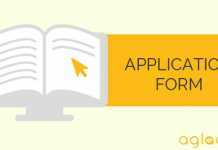 Thus, candidates can select the course as per their interest and eligibility. Now, here are the programme wise eligibility criteria for Poornima University 2018 Admissions. candidates must go through the eligibility criteria once and then start the application process. It is important as Poornima University intakes admission only if the candidates satisfy the eligibility criteria meant for each course. Along with 45% (40% for ST/SC/OBC/SBC) marks in Mathematics and Physics as compulsory subjects and any one of Chemistry/Computer Science/IP/Biology/Biotechnology. 3-year diploma in Engineering from State Board of Technical Education/recognized university. B. Sc. with Mathematics as one of the subjects/equivalent qualifications with a minimum of 50% marks (45% for ST/SC/OBC/SBC). 6.25 CGPA on 10 points scale (50% or 5.75 CGPA on 10 points scale for ST/SC/OBC/SBC). Candidates with MCA/M.Sc. IT may also be considered for M. Tech in Computer Engineering. 10+2 With Maths (50% Aggregate) from CBSE/equivalent board + valid NATA Score as per NATA 2017 guidelines or valid JEE paper 2 scores. Pass in 10+2(any stream) examination of CBSE or its equivalent of any board. Minimum 48% (43% for ST/SC/OBC/SBC) in Three years Bachelor’s Degree(10+2+3) from a recognized University or equivalent. Pass in 10+2 (any stream) with minimum 50% marks (45% for SC/ST/OBC/SBC) from CBSE/equivalent board. Pass in 10+2 (any stream) and (45% for SC/ST/OBC/SBC) from CBSE/equivalent board. Diploma with minimum 50 % (45% for ST/SC/OBC/SBC) from state board/ equivalent. Pass in 10+2 (any stream) of CBSE /equivalent CBSE/equivalent board. Pass in 10+2 (Science/Commerce stream) from CBSE/equivalent board. Pass in 10+2 (PCM) with minimum 50% marks (45% for SC/ST/OBC/SBC) from CBSE/equivalent board. Below is the fee structure of Poornima University 2018. Candidates can take a note of the fee structure and for more details candidates can feel free to contact Poornima University as per the contact details mentioned below on this page. What the University believes is “A GOAL WITHOUT A PLAN IS JUST A WISH”. Therefore, the university makes sure to train and convert the students to be employable and industry ready during the course of their study. To attain this goal, Training & Placement Cell organizes training on aptitude skills, soft skills, motivational talks, industrial visits, professional certification courses, talent enrichment programs. Hostel Facilities with medical, ATM, Parking, Wi-Fi etc.